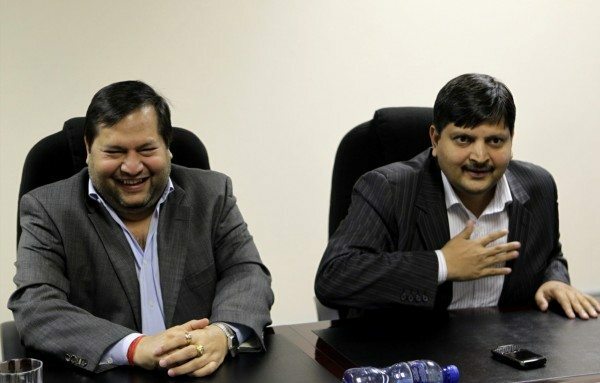 ASTONISHING evidence supported by e-mails provided to investigative units amaBhungane and the Daily Maverick’s newly-found Scorpio show how the Gupta family attempted to finance more than half of the R2.15bn purchase of Optimum Coal Mines with a prepayment from Eskom. The raft of incriminating e-mails, dubbed by the investigative units #GuptaLinks, also show the Gupta family, and a network of associates, siphoned R5.3bn from the procurement of locomotives from a Chinese supplier to Transnet. The revelations put huge question marks over a number of senior executives in both Eskom and Transnet including Matshela Koko (former Eskom interim CEO), Transnet CEO, Siyabonga Gama and the transport utility’s former CFO and current Eskom CFO, Anoj Singh. The investigative units cite communications, purportedly to Koko’s e-mail account from the Gupta company, Tegeta Energy and Exploration, asking to confirm an in-principle agreement to supply coal from Optimum Coal to Eskom for R1.68bn. This was in November 2015, a month before Tegeta said it had agreed to buy Optimum Coal from Glencore for R2.15bn on December 11. Whilst this coal prepayment was not consummated, it is known that Koko subsequently led a meeting in April 2016 in which a sum of R659m was agreed to be paid to Tegeta. AmaBhungane and Scorpio said they would continue to publish revelations regarding the Gupta network of patronage following the leaking of thousands of e-mails by now protected whistleblowers. The information is secured by an off-shore organisation. How can we support Daily Maverick? Hi – I know AmaBhugane operates largely on donations; I imagine Daily Maverick’s Scorpio is the same. If you would like to e-mail me directly at [email protected], I will put you in touch with the Daily Maverick editor, and founder, Branko Brkic. Thank you, I will contact them, all South African’s owe them a debt of gratitude!